Des Moines University announced that Karl Keeler, president of MercyOne Central Iowa Medical Center, and Kevin Vermeer, president and chief executive officer of UnityPoint Health, joined the Des Moines University Board of Trustees. Their service on the board, which began at its meeting in March, continues the representation of both health systems on the University’s governing board. Past members include Eric Crowell, who retired as president and chief executive officer of UnityPoint Health – Des Moines in 2018, and Bob Ritz, Keeler’s predecessor who moved up in 2017 to serve as president and CEO of MercyOne, which includes MercyOne Central Iowa Medical Center and other clinics and hospitals across Iowa. 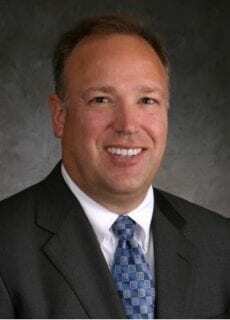 Karl Keeler was named to his current position with MercyOne Central Iowa Medical Center in November 2017 after serving as president of Saint Alphonsus Medical Center in Nampa, ID. There, he improved the organization’s overall performance and led development of a $180 million replacement facility. Prior to that, he held several leadership roles at Mercy Medical Center in Cedar Rapids, IA. Keeler earned his bachelor’s degree in health promotion from Brigham Young University and his master’s degree in health administration from the University of Michigan. MercyOne Central Iowa Medical Center operates four nonprofit Catholic hospital campuses with a total of 875 beds and more than 20 additional facilities that include more than 50 primary care, pediatric, internal medicine and specialty clinics. It is the longest continually operating hospital in Des Moines and one of the largest employers in the state, with more than 7,000 employees and a medical staff of more than 1,000 physicians and allied health associates. MercyOne Central Iowa Medical Center is a member of MercyOne and part of Catholic Health Initiatives, which operates in 17 states. Kevin Vermeer was named president and CEO of UnityPoint Health in January 2016 after serving as its executive vice president since 2009. 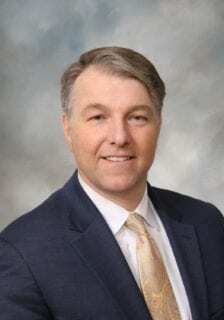 He took on additional appointments as chief strategy officer in July 2012 and accountable care organization (ACO) chief executive officer in 2013. His responsibilities include ACO governance, operations, network development and alignment within the regions, payor strategies and contracting, growth strategies, analytics, information technology and marketing and communications divisions. Vermeer has more than two decades of experience managing financial operations for leading health care organizations, including Unity HealthCare in Muscatine, IA, Trinity Regional Health System in Rock Island, IL, and Allen Memorial Hospital in Waterloo, IA. He earned his bachelor’s degree in accounting from the University of Nebraska and his master’s degree in management from New England College in New Hampshire. He serves organizations including the Iowa Business Council, the American Hospital Association Regional Policy Board and Iowa’s Healthiest State Initiative Board. UnityPoint Health is the nation’s 13th largest nonprofit health system and the fourth largest nondenominational health system in the U.S. With annual revenues of $4.4 billion, the physician-led organization spans hospitals, clinics and at home settings across Iowa, Illinois and Wisconsin, and offers telehealth services, UnityPoint at Work and UnityPoint Accountable Care. A presence in metropolitan and rural communities allows UnityPoint Health to innovate through partnerships outside of health care, and its more than 34,000 team members remain dedicated to shared values that put people first.